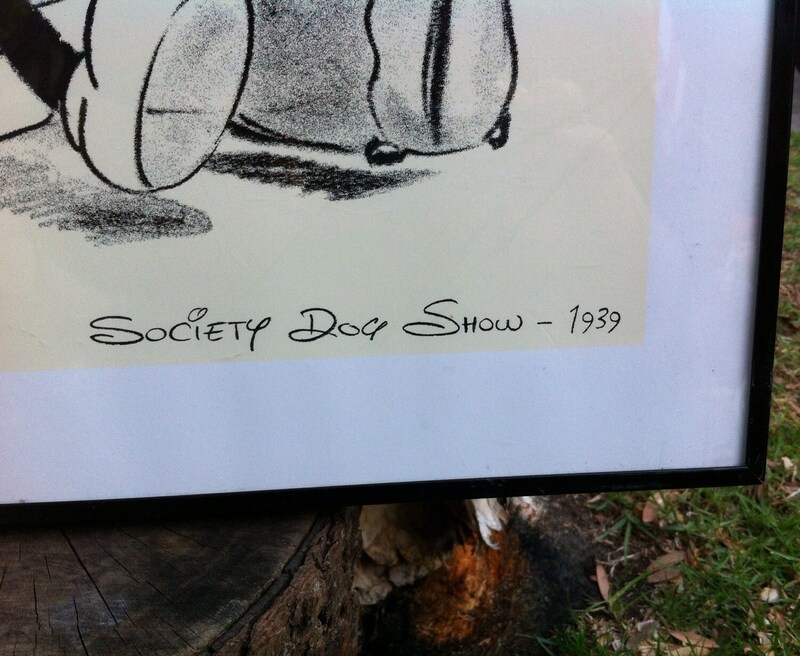 1990's, limited edition silkscreen lithograph of Walt Disney's 1939 "Society Dog Show" drawing produced by "The Art Group" London. 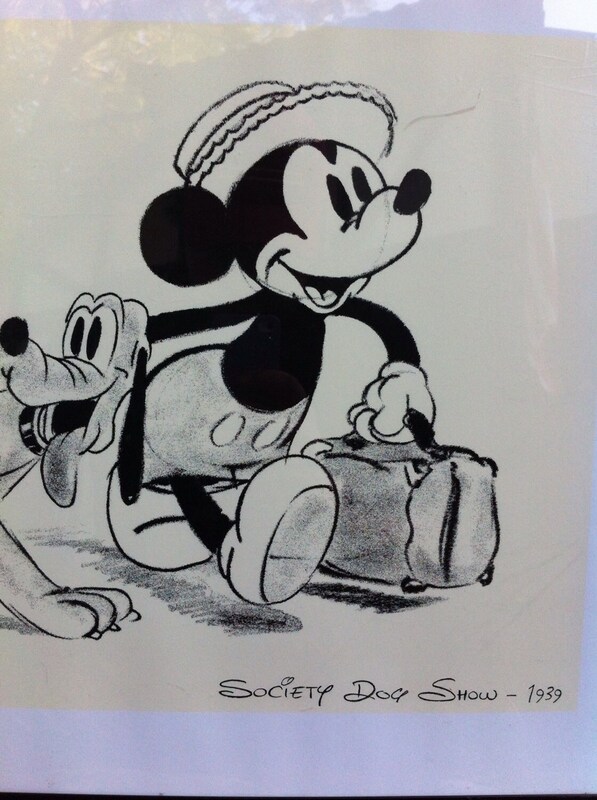 The lithograph shows a wonderfully charming depiction of Mickey Mouse proudly leading his best pal, Pluto, to compete in a dog show. 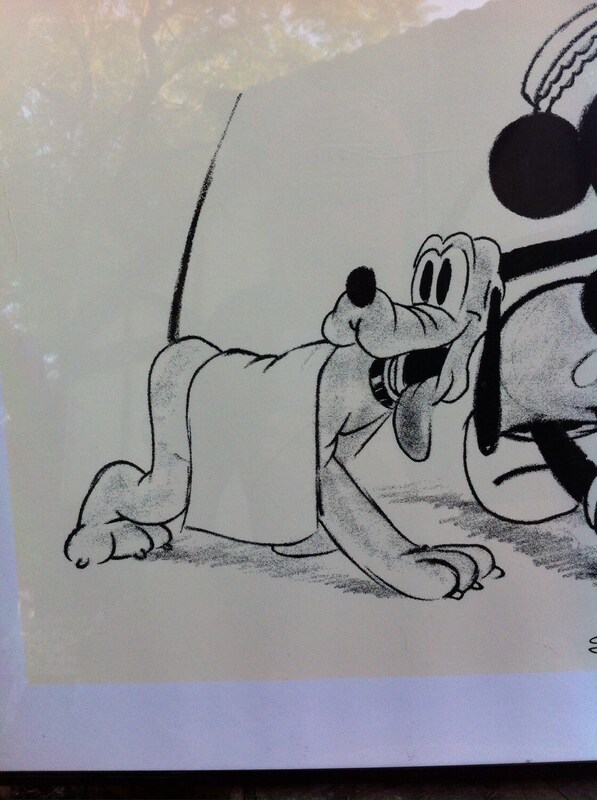 Wonderful picture that adds an enormous amount of character to your space. 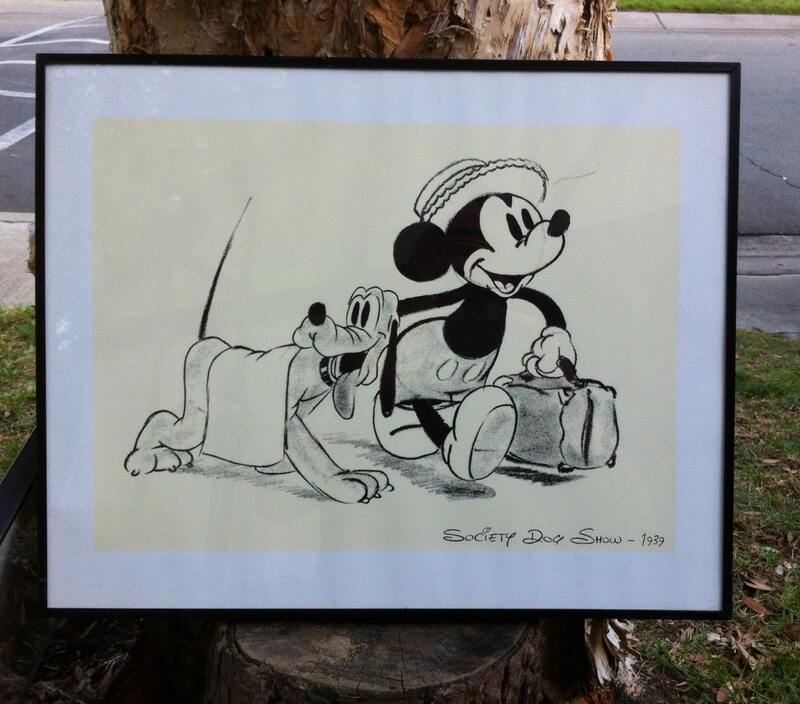 Great for the Disney lover, animal lover or anyone needing a beautiful addition to a wall or area. Great artwork for an animal hospital or animal service company.